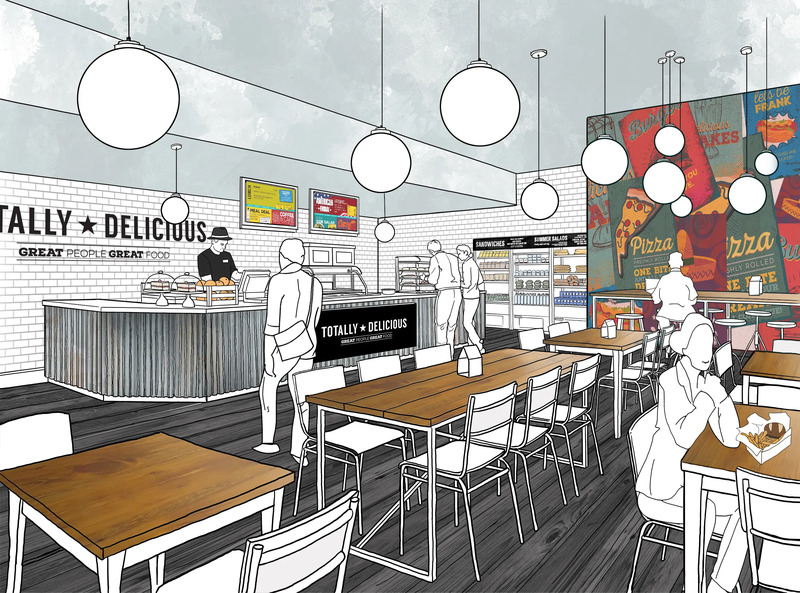 Catering solutions specialist Totally Delicious is fuelling productivity across a wide range of industries by transforming sterile staff rest areas with its very own Canteen Takeover. It’s concession concept aims to help to feed the minds, bodies and souls of employees, resulting in a happier and healthier workforce. Totally Delicious has already formed partnerships with a number of businesses in the midlands and north west by building and operating catering services within factories, offices and contact centres. Occupying around 15 square metres, the new self contained units offer everything from hot drinks and snacks to nutritious balanced meals. And by creating a separate ‘recharge’ area for staff downtime, Totally Delicious is helping clients to enhance their staff welfare offering, which is so topical right now for staff retention and productivity. Managing director Dominic Bowers said: “The concessions model gives us the chance to offer businesses who have been put off by expensive fit out costs and disruptive commercial kitchen builds, it’s a genuine alternative to offering staff some added value at work. “But it also allows businesses to serve up quality food to their teams on site. 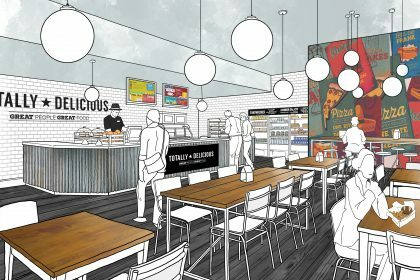 We formed Totally Delicious to challenge the mindset of what a canteen should be and I think this new concession concept is another step forward in helping us deliver on that goal. Concessions can also be built within 72 hours and open within a working week. Operating costs roughly work out at the equivalent of £1 per member of staff per day, while the neat design of the concessions reduce any loss of valuable floorspace. The menus by Totally Delicious are already providing food for thought among its satisfied customers. Dominic Bowers added: “One of the main goals of the restaurant concessions that we implement within businesses, is to provide staff with a contemporary, informal space in which to relax and connect with other employees. “As a result our clients tell us that they have found that communication between their employees from all levels of their businesses increases dramatically, which has to be a good thing.